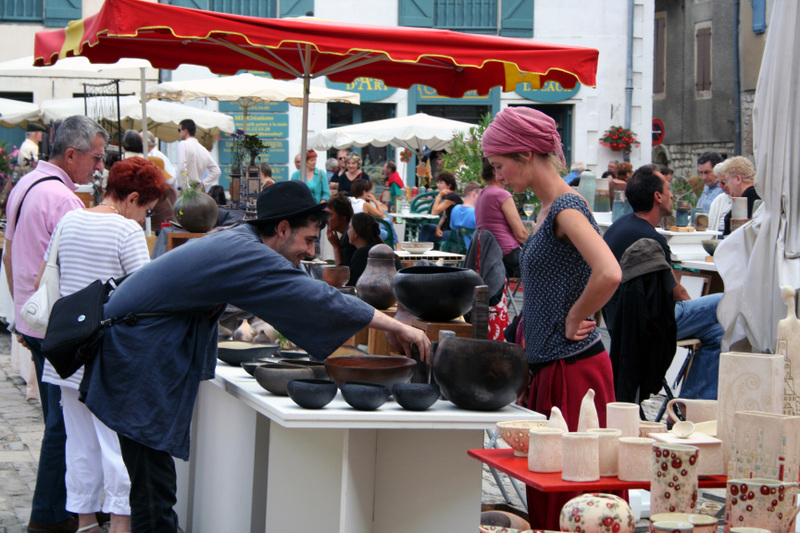 There was a pottery market on Saturday and Sunday in Lauzerte. I did get a small dish, yet was hesitant to buy anything larger since our suitcases will be full as it is. 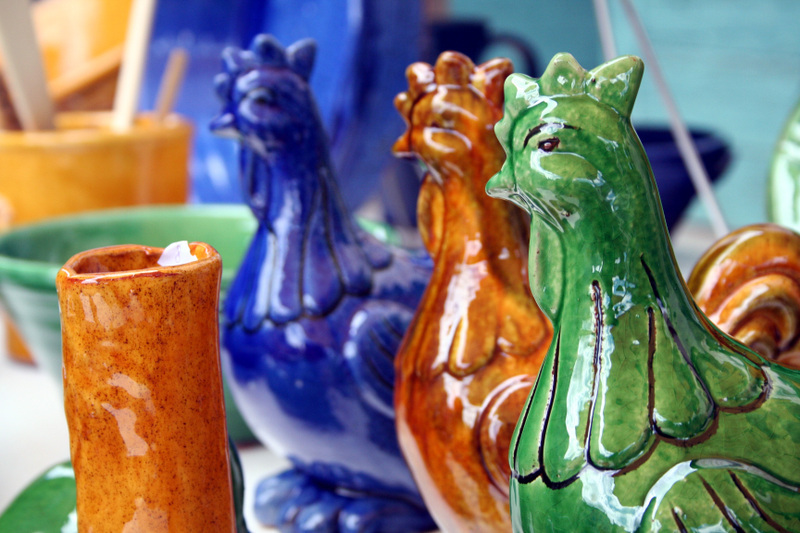 However, it was very nice to wander through and look at all the colorful pieces of pottery for sale in all different styles. Moissac has one of the largest markets in the area. Today, we did some shopping at their Sunday market and then went back to the nearby abbey for a visit. 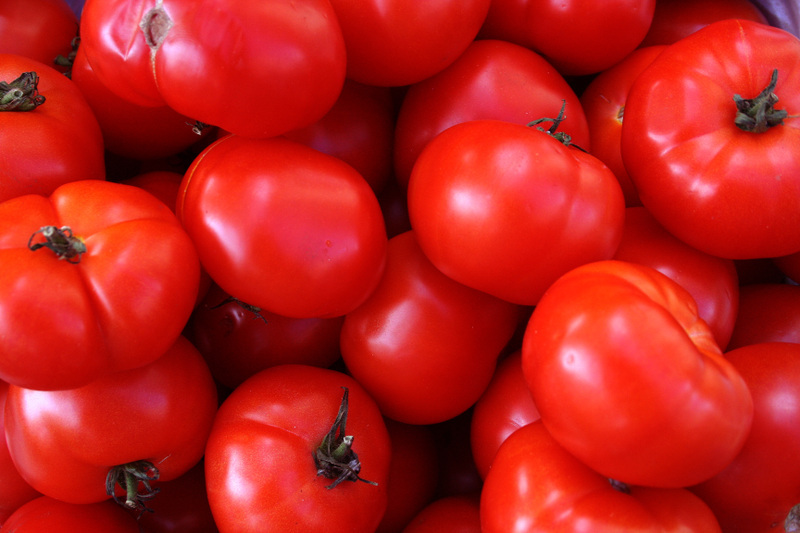 The markets are the places to go for fresh fruits and vegetables. Of course, that's not all they sell. You can also find pocket knives, tablecloths, or anything else you might need. 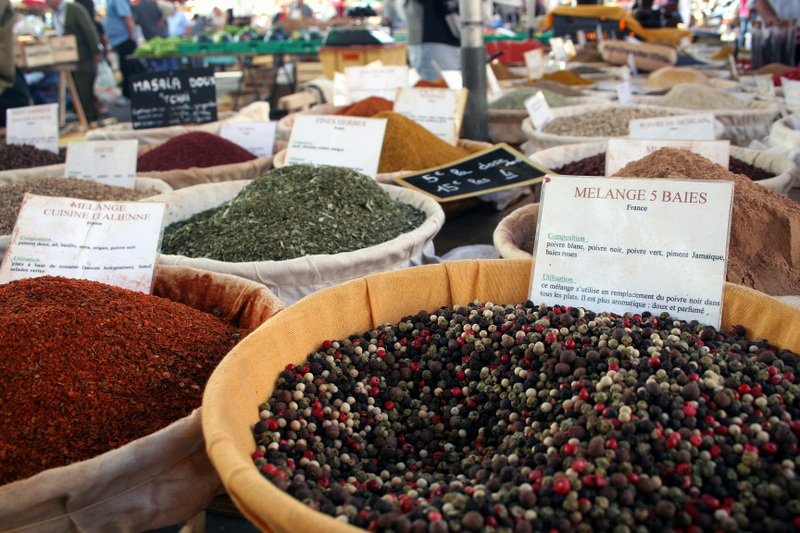 And, as you can see in the top picture, the Moissac market in particular has a great spice table. 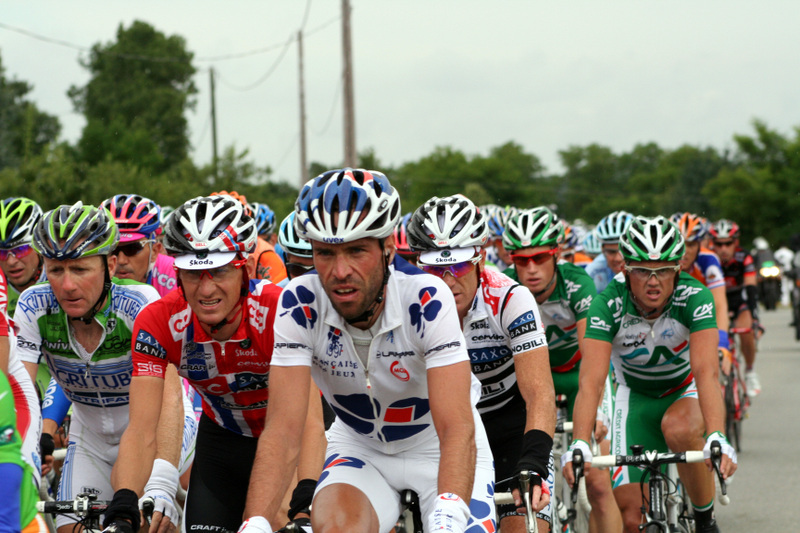 On Saturday, the Tour de France went from Figeac down to Toulouse. Despite a somewhat rainy day, we packed a picnic and staked out a nice spot. We were told to get set up before the Junk Train arrived and soon realized what that meant as colorful vehicles promoting one company or another drove by, hurling free keychains, hats, and other knick-knacks to the bystanders. We watched the circling helicopters above, indicating the bicyclists' arrival. Then they turned the corner. They went by very quickly, all in one pack. 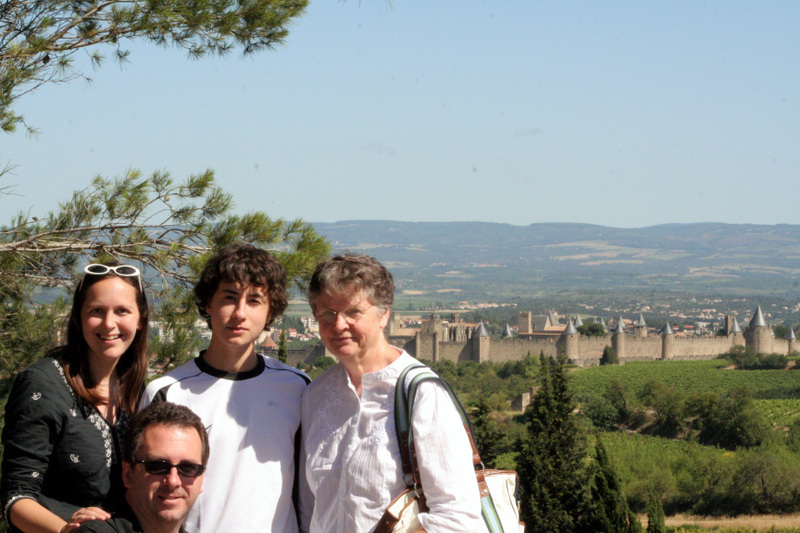 Over the holiday weekend, we headed off to Provence. 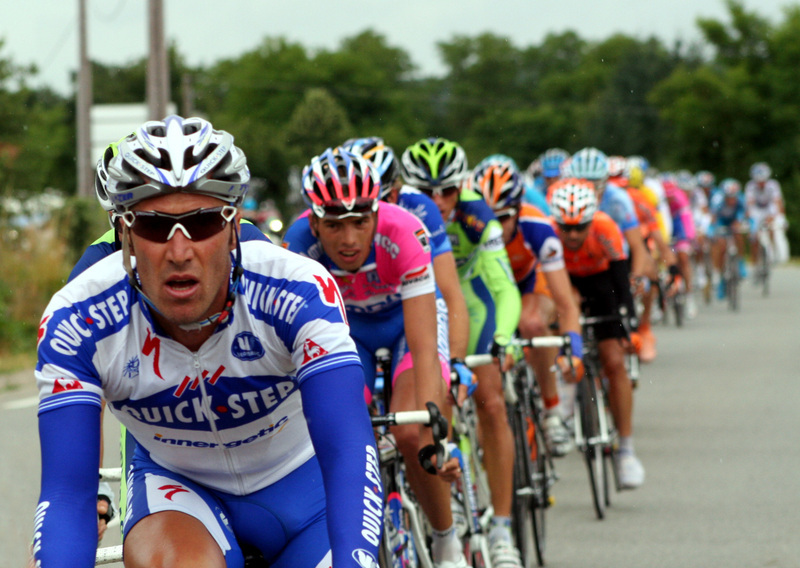 Check out the new pictures that have been added to our France photo album! I'll be adding captions as soon as I can. We went to Arles, Nimes, and Avignon. 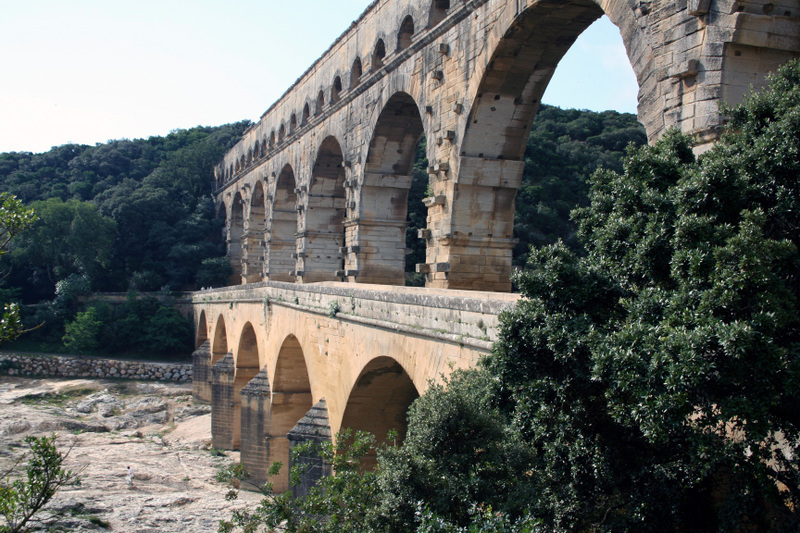 And we stopped at Pont du Gard, an amazingly intact Roman aquaduct. I think that was the height of the trip for me. It's breathtaking. We also went down to the Mediterranean for a day to swim, which was a welcome respite from the heat. And on the way, we stopped at Carcassonne. Here's a picture of us looking at it from a distance, before we headed into town. We saw Roman ruins, walled cities, and beautiful vistas. It was a fantastic weekend and we were able to see a lot in a short amount of time. 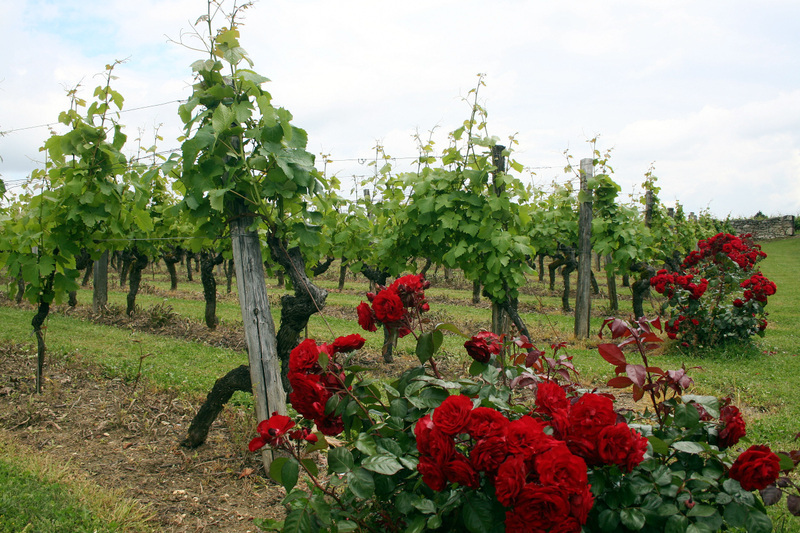 One of the major attractions of Southwest France is the wine region of Bordeaux. It can be a little daunting to find which vineyards to visit and which parts of Bordeaux to explore, so research is a must. Just be sure you know before hand which vineyards you need reservations for to avoid disappointment. 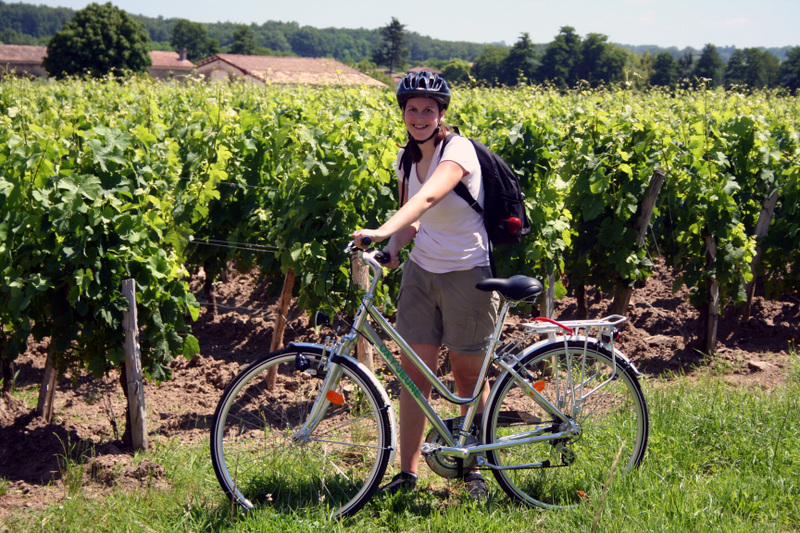 To explore the vineyards by bike, stop by the Bordeaux or St. Emillion tourist office and rent a bike for a full day or a half day. Chris and I rented bikes for the afternoon and then we were off. 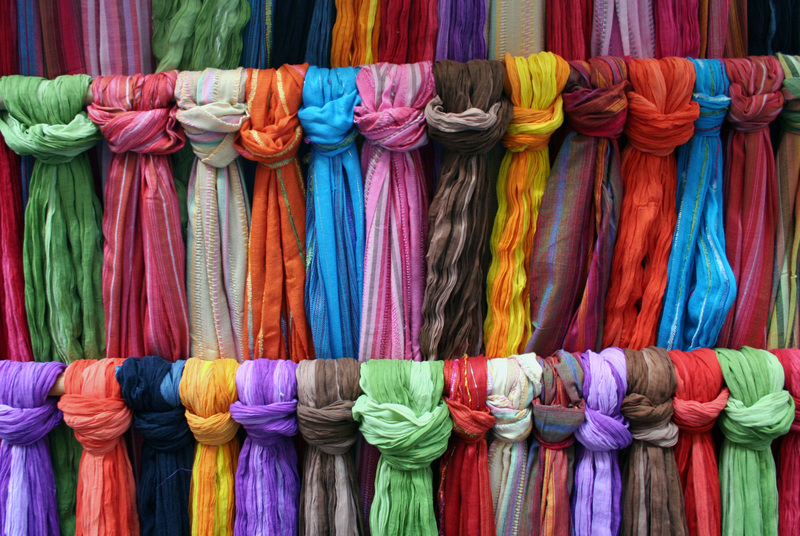 We just got back from a trip to one of the local markets. We went to the Montcuq Sunday market and came back with strawberries, peppers, zucchini, cucumbers, and meringue cookies. Also for sale was clothing and other non-food items, which we've only seen at a few markets. Each village, town, and city has its own market one or two days a week and each is a little different. We've been trying to hit as many different ones as we can. I wish I had pictures, but I haven't brought the camera to one yet. I will soon. 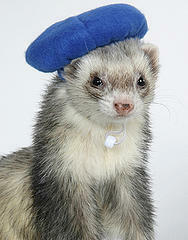 In the meantime, please enjoy this ferret in beret picture. 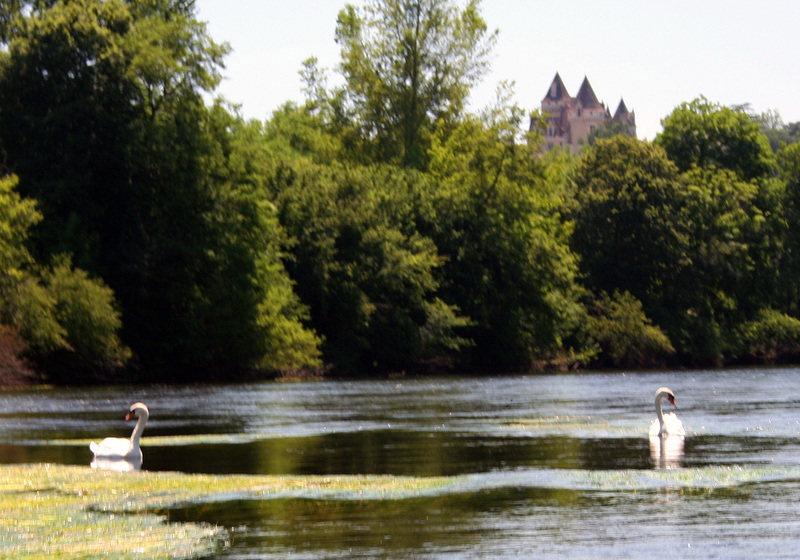 This weekend we kayaked down the Dordogne river, passing castles and towns along the way. It was one of the best excursions we've done since we got here. The river was moving very fast, so we just floated along and took pictures on the way. This evening Chris and I went down the road to a nearby field to throw the disc around. It's finally gotten nice and warm here. And the field is flat and meticulously cared for; the kind WAFC would drool over. It's a nice way to end a week. 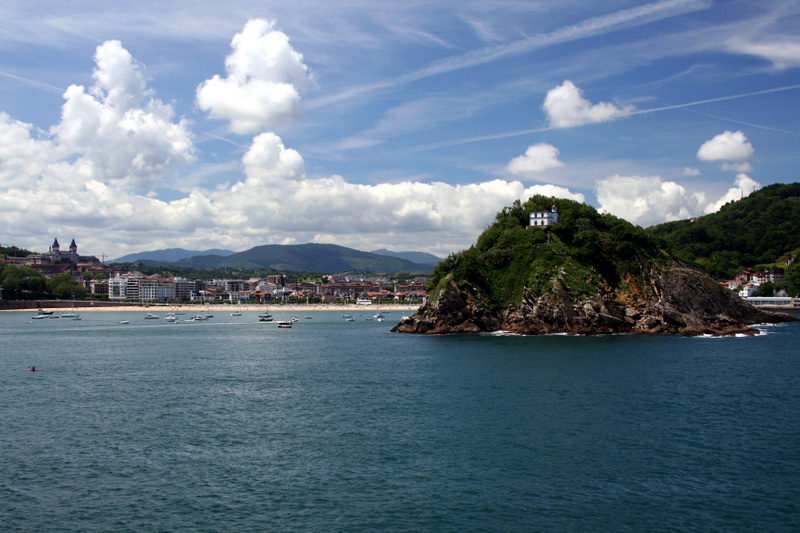 We traveled into Spain last Saturday and went to San Sebastian, a beautiful city on the ocean. We had tapas for lunch and took a walk along the water. I'm so glad we made it into Spain and this is a gorgeous city to visit. However, I can't say I minded coming back to France where I can at least understand a little of the language. I'll have to work on my Spanish before I return. A Gallo-Roman villa was discovered in the town of Seviac, dating back to the second century AD. While it is unclear who lived here, the family must have had a good deal of wealth, since the villa is quite large and had its own bath complex. 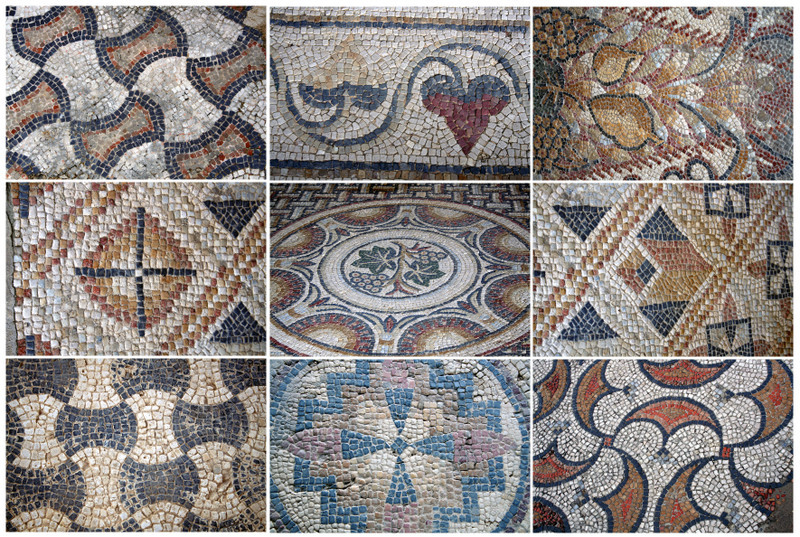 It also had spectacular mosaics on the floors, many of which have been uncovered and can be seen today. Normally, beautiful artwork like this would have been carted off to a museum. To see mosaics like this in their original setting is truly rare and impressive. I know, I know; I haven't been posting for the last couple days. I will be on a brief blogging break for the weekend and promise to be back on Monday with lots of stories and pictures from Basque country. One interesting thing that we have come across is that, in our region of France, lunch is from 12-2pm. While that doesn't sound unusual, it actually can be quite tricky. At 12 or 12:30, many stores, tourist offices, and attractions will close and will open up again at 2pm. Alternatively, if you try to get a late lunch you're at of luck because most restaurants in the region only serve lunch in that 12 to 2 window and then close until dinner. As Chris found out at our local grocery store, summer hours can mean that the lunchtime break goes from 12 until 3. There is no such thing as running errands on your lunch break. And if you're sight-seeing in the middle of the day, you have to be careful, scheduling plans around this lunch hiatus. It's an interesting set up, and I suppose a two hour lunch each day is one of the perks of a 35 hour work week. Although it does play havoc with travel plans. The day started with a mission: sight-seeing pigeons. Or at least scouring the French countryside for the structures built to house them. The tour guides say these pigeonniers are strewn across the Tarn et Garonne department, so we know they're around, but we can't find a map denoting where they're located. No problem, we decided, we'll find them ourselves. 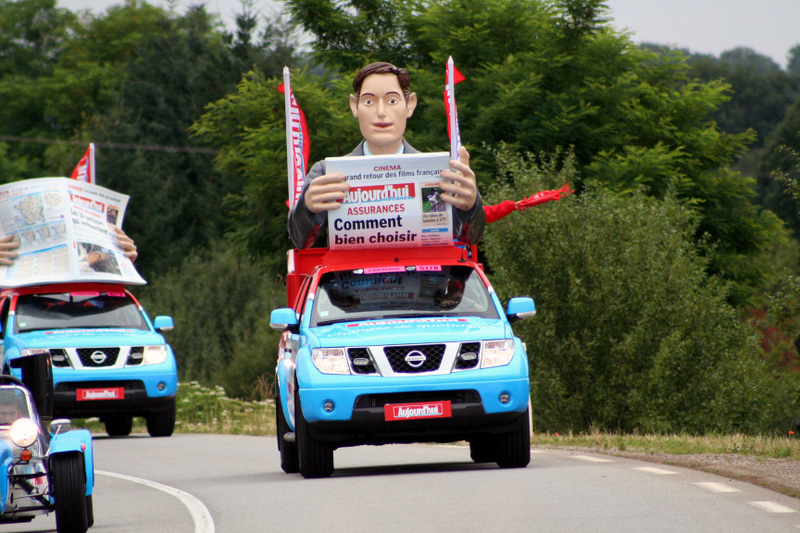 So armed with a road map, a camera, and a sense of adventure, Chris and I set off on a pigeonnier scavenger hunt. The pigeonnier is a slender tower that was built in the middle ages in southwest France. It is essentially a dovecote, a structure first built by the Egyptians and brought to France by the Romans. 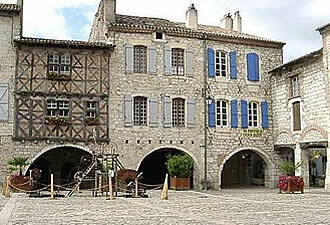 Pigeonniers are roughly the size of a garage and are usually two stories or one story built on stilts. They come in all shapes and sizes, from square to round to octagonal. One can recognize a pigeonniers by it's pigeonholes, usually located just below the roof of the building. Pigeonniers were built, as one might guess, to house pigeons. Why would they do this? It was an easy way to raise meat on the farm without taking up a lot of space. The droppings were also collected for fertilizer and were sometimes saved for a dowry. The pigeonnier was a privilege of the rich and only they could build the structures. The pigeons fed on local produce, creating a nuisance for peasant farmers in the area and was one more source of tension between the lord and his vassals. Shortly after the French revolution, the privilege was abolished and the pigeonnier dropped from a practical chateau building to a picturesque roadside curiosity. By winding down quiet farm roads and scouting from ridges, we were able to spot more than a few pigeonniers. Many have been turned into British vacation houses, offering a small retreat that is part historical, part charming, and part kitchy. 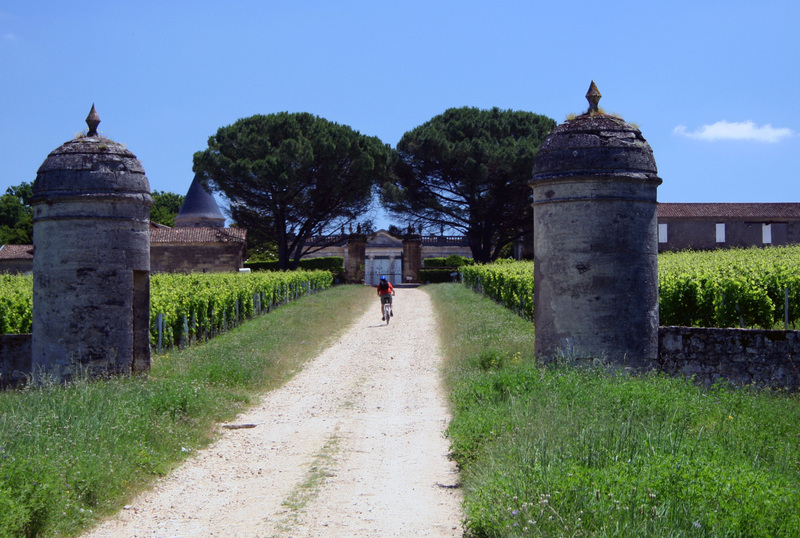 The name "Pigeonnier" has been used for wine labels, hotels, neighborhoods, and restaurants, emphasizing that they are a staple of the region and give the area some of its character. For us, they were a great way to see the landscape in a different way and pay closer attention to our beautiful surroundings. 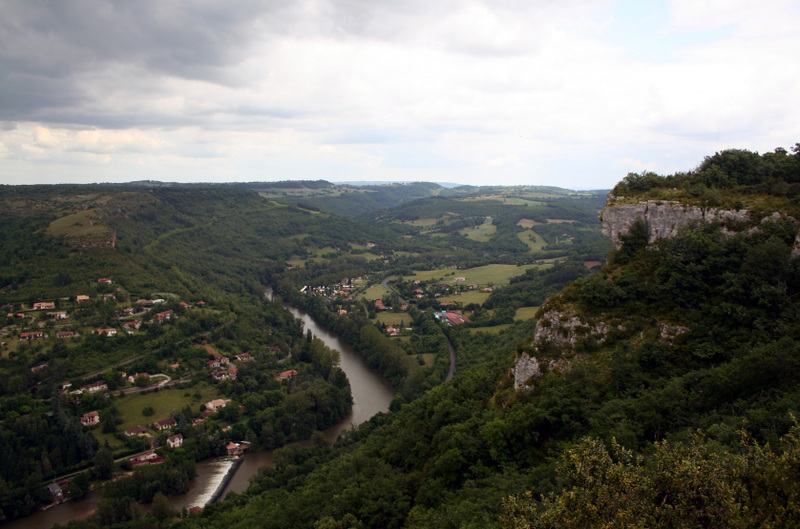 Today, we took advantage of the sun and went for a hike in a beautiful spot called the Aveyron Gorge. 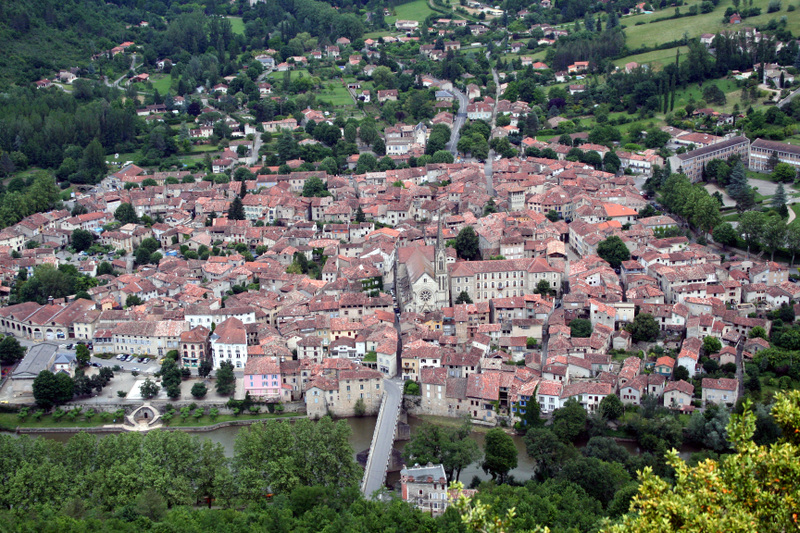 We started at St. Antonin-Sur-Val, a pretty town at the bottom of the gorge. It was originally a Roman settlement. During the Hundred Years War it was taken over by the English. It was later taken over by the Protestants and by Louis XIII. 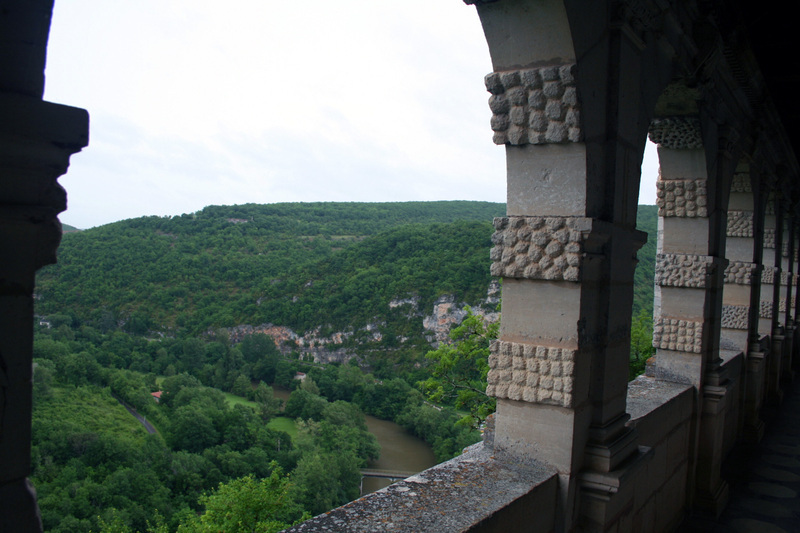 We hiked up the side of the gorge across the river from the town up to an area called Roc d'Anglars. It is called that because it was the cliff the English retreated to when they lost the town. It makes sense because they had a great defensive position up on the ridge. It was a steep climb but the destination was well worth it. This is where we live. :D We took a walk in the valley last night and Chris took this picture looking back up the hill at our town as the sun was setting. Chris went for a walk in town with the camera. It's only around the block. In a future video we'll walk down to the square and perhaps down some of the other streets in town. As you may have noticed, the image on the top left of this blog has changed, meaning that more pictures have been added to the photo album. I know, finally! Chris and I have taken more than 700 pictures, so the process of culling them and posting the best ones online is slow. But I promise I will add even more soon. Also, some have captions and some do not. We will be adding stories and info along with our pictures in the evenings, so more of them should be captioned shortly. Oh, and there are more pictures than I can fit on one page of the photo album, so click on the arrow at the bottom to see the rest. 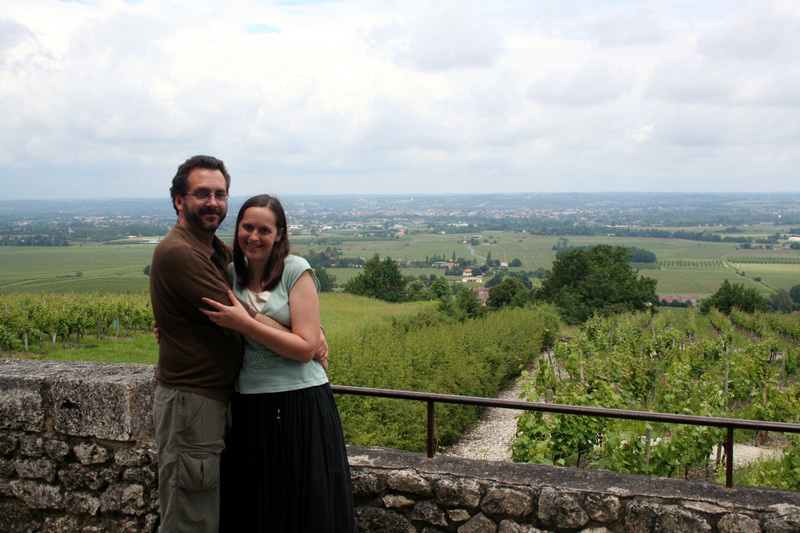 Months ago, when Chris and I were planning this trip, we bought a bottle of wine from the Bergerac area to try. It was specifically from a place just south called Montbazillac. As we enjoyed the wine, we looked up its location on our newly acquired map. 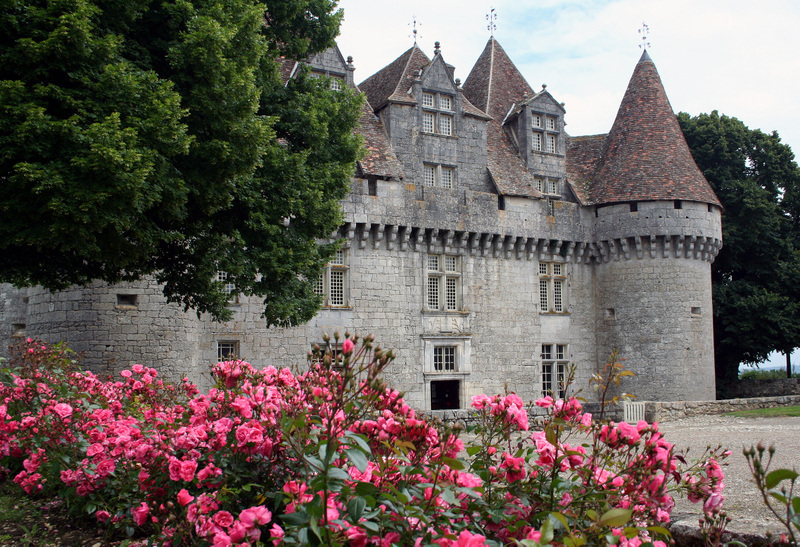 Today, we went through Bergerac and stopped at the Chateau de Montbazillac. The chateau has been pretty much left alone with very minimal updates of any kind and is in exceptional condition. It was like stepping into a ferry book. Not to mention a great view. Yesterday we toured around the various little bastides in the region and on Thursday we saw the city of Toulouse. I am working on pictures and will add them soon, I promise. Earlier in the week, we went on a hike in the area and saw an 11th century church and an old pigeonnier. Fortunately, the rain has been holding off most of this week, so it's perfect sight-seeing weather. Tomorrow we will be attending a festival and meal in our village and tonight we are headed back to our neighbor's restaurant. Life in this part of France seems to revolve around food. And considering how amazing the food is, that makes perfect sense. Over the last few days, we have done a lot of wine tastings. 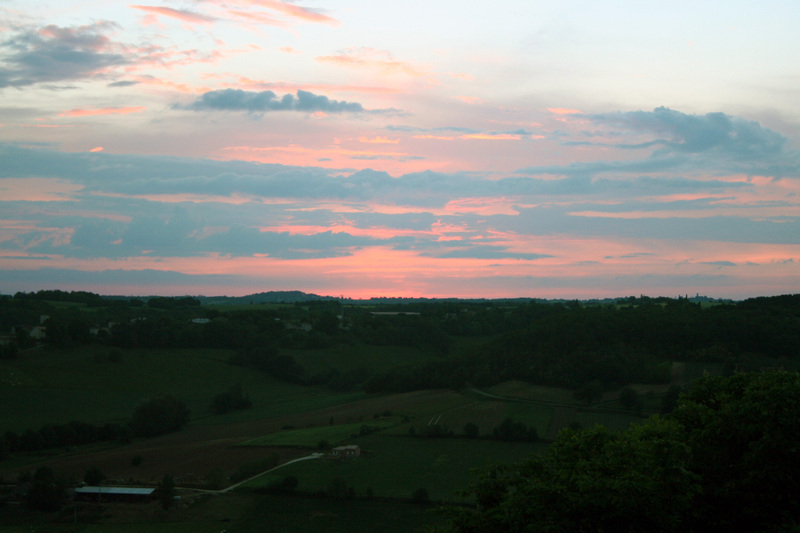 This region of France has, of course, Bordeaux wines, but also quite a few other wine producing regions. Currently, the Bordeaux region is just a little overwhelming due to far too many options, however I will venture over there eventually and have, in the meantime, greatly enjoyed trying and comparing some of the other regional wines. 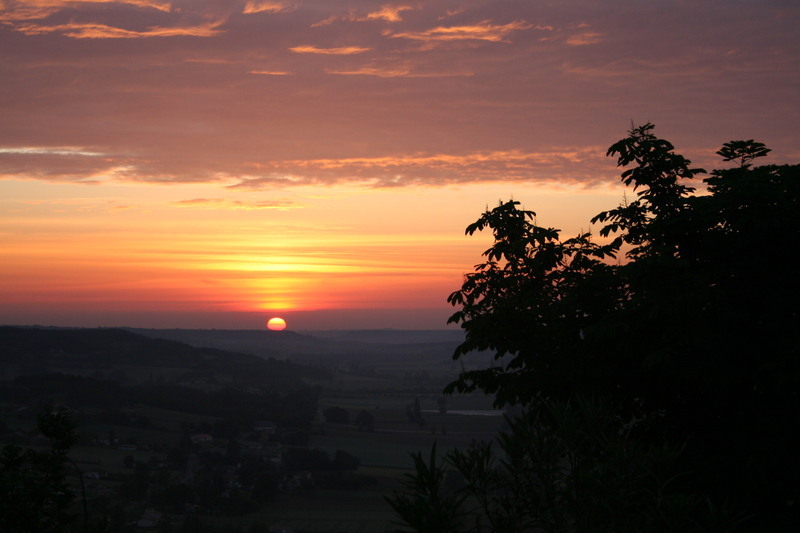 The area is northeast of Toulouse and known for its white wines. 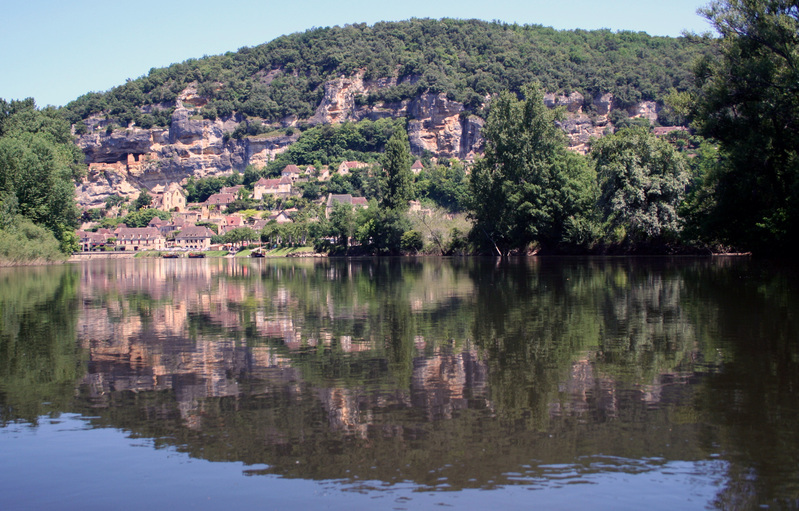 It is said to be the first place in France ever to grow wine, in the sixth century BC and they still have many hundreds of hectares of vineyard along the Tarn river. My favorite wine of the region is the Perle which is a dry white with a slight natural carbonation. The wine is also very reasonable as we found at Chateau Lastour. 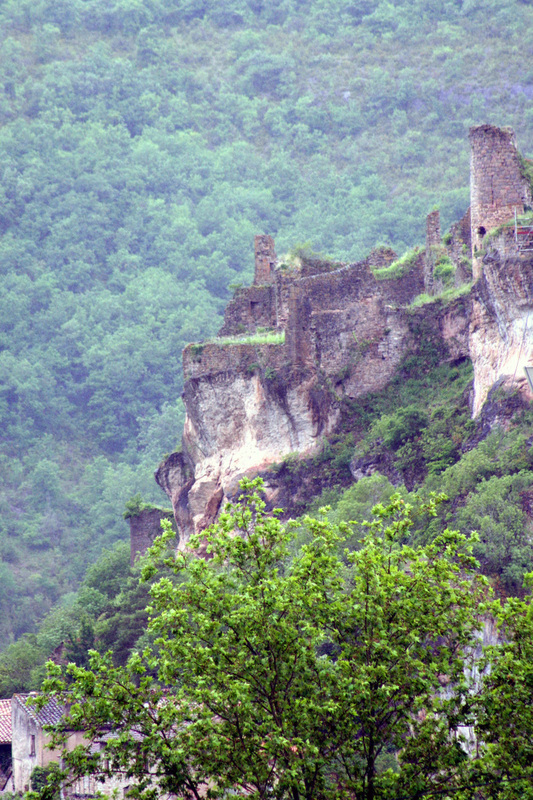 The wine of Cahors is centered on the Malbec grape. This deep red wine, called the black wine, is very strong and goes very well with all the duck eaten in the region. The price ranges greatly from LaGrazette's Pigionnier at 90 euro a bottle (and we got to try some!) to Chateau Noziere's "loose" wine that makes absolutely fantastic vin de table and can be purchased for a little over a euro a litre. The Cahors wine is a bit strong, even for a red wine, but quite good. And there are some vineyards, like the Clos Traguedina, that still makes wine the same way it was made in the Middle Ages. We'll have to return to these great wine areas and vineyards after I learn to drive stick shift so that Chris doesn't have to be the designated driver all the time. For the summer, we have leased a Peugeot. We call him zombie lion because of the symbol on the front, which unfortunately I do not have a good picture of yet. I will make a point of adding that. So far zombie lion has been very reliable and with it we have traversed windy, narrow roads and covered many kilometers. And it's only been a week. Sadly, he has already lost a hubcap, but bravely travels on. Chris insists that our car needs a theme song, since it's the first car he has ever named, but so far we haven't come up with one. We are accepting submissions if anyone has an idea of what zombie lion's song should be. 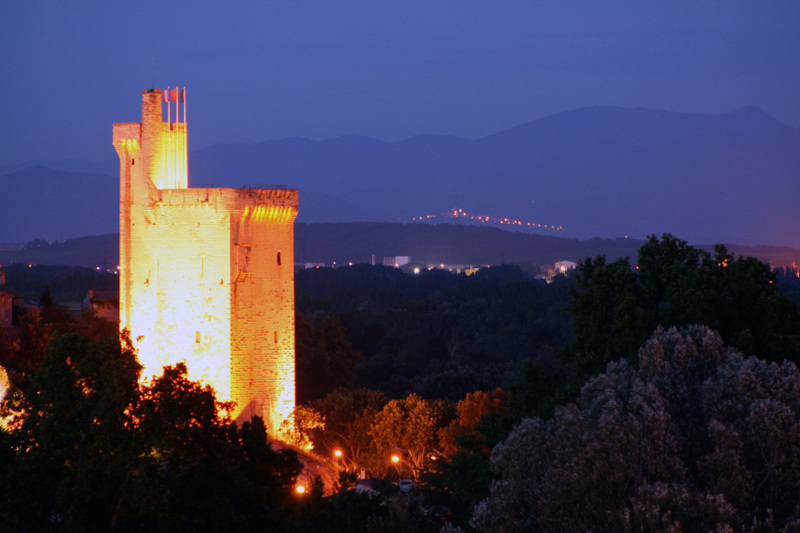 One of the fantastic elements of southwest France is the castles. 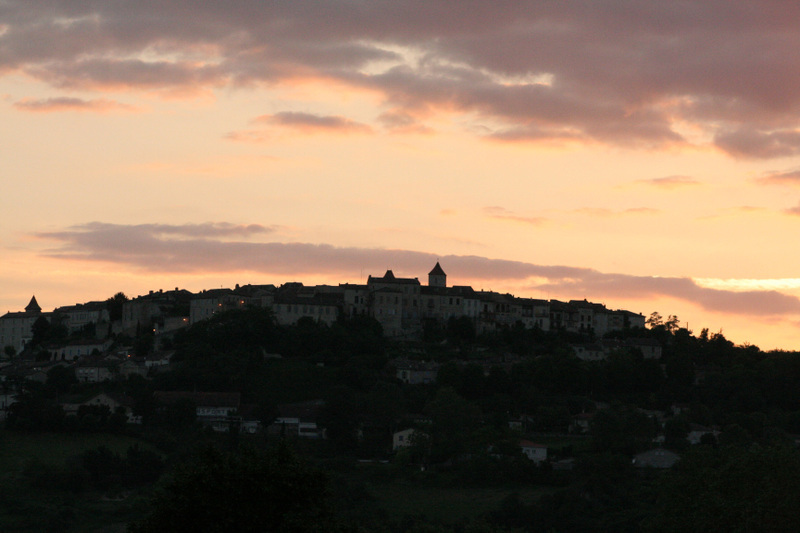 Between the Hundred Years War and the War of Religion, every little village and bastide needed to be able to defend itself from attack. Some were more successful than others. Many of these castles are still around, although they are in varying states of restoration or disrepair. Sunday was a day for exploration. 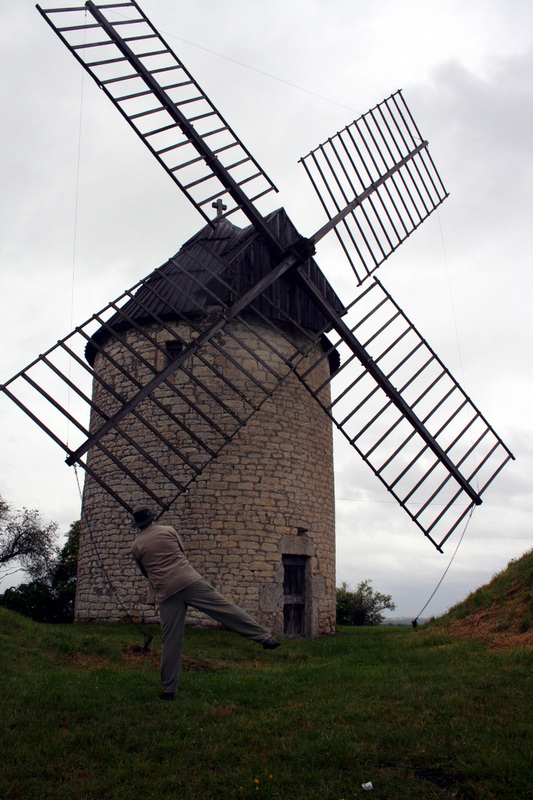 Despite a little rain, we went out to Castelnau to find the windmills. We found two out of three despite a terrible lack of signs, so we were quite happy. 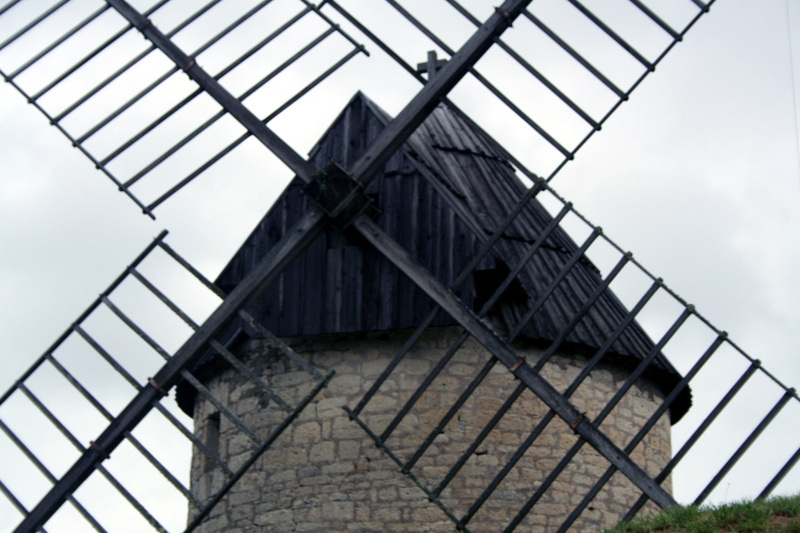 And Chris felt the need to tilt at windmills. After that, we went on to see the St. Martin Collegiale in Monpezat with its spectacular 16th century Flemish tapestries. Lastly, we hunted down a dolmen. It wasn't quite as impressive as we had anticipated, but we found it, finally. 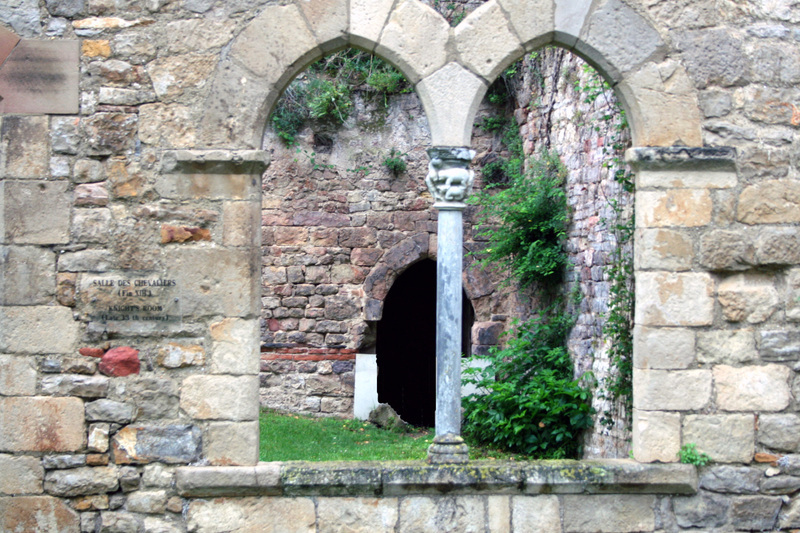 On Saturday, we headed down to Moissac to see the St. Pierre Abbey. This 11th century church and cloister is the main attraction in the town and is a highlight of the region. 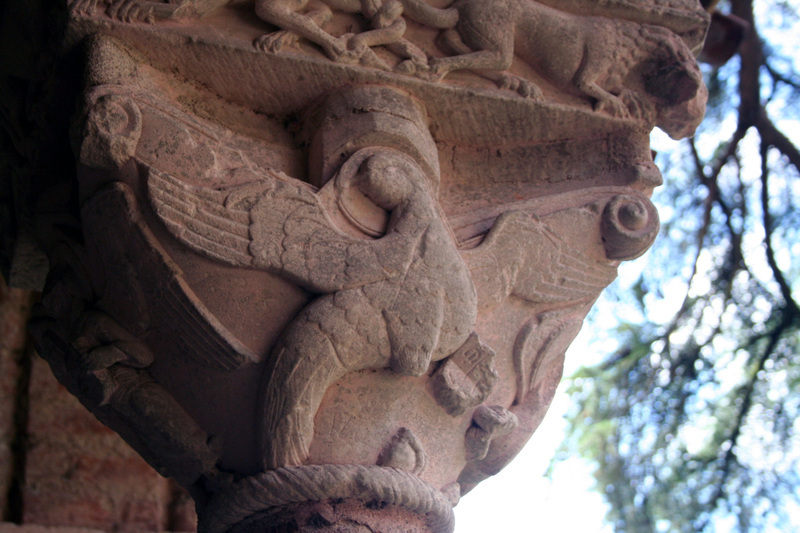 In particular, the cloister columns are decorated with beautiful sculptures of various scenes from the bible. 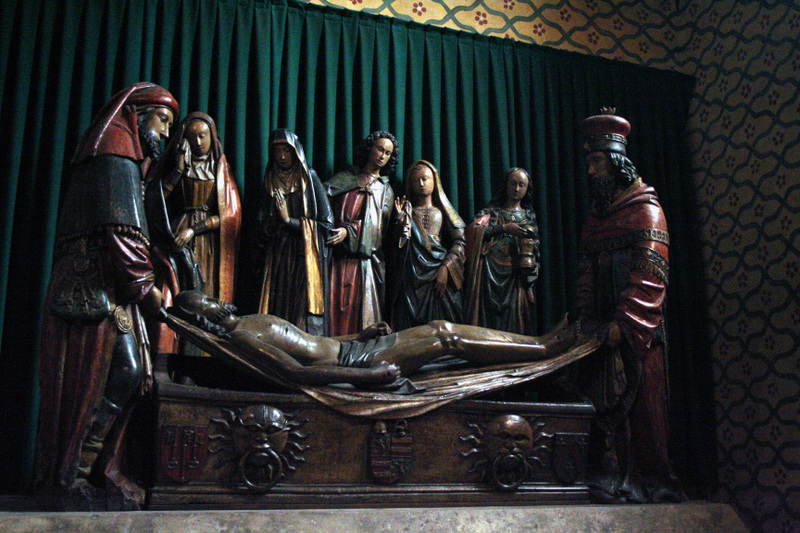 The church also holds a number of 14th century wooden sculptures of note. 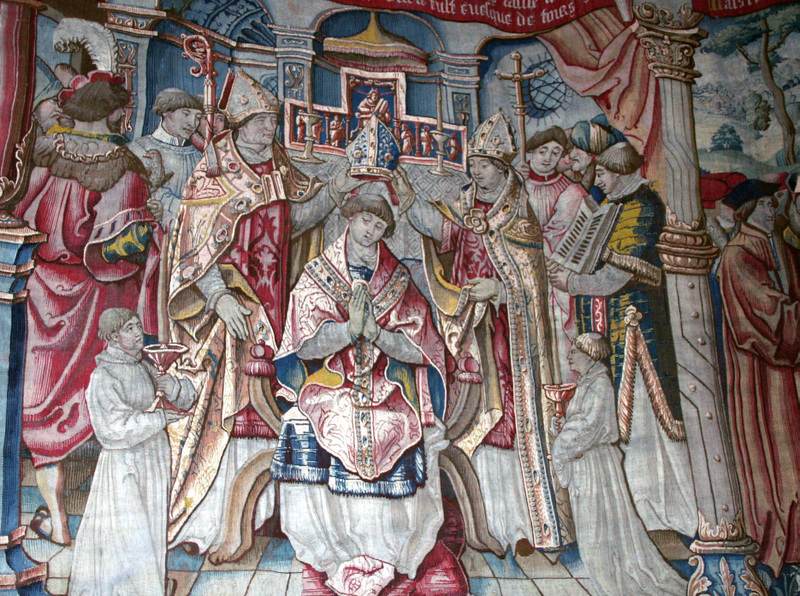 The monks at the abbey were known for creating beautiful illuminated manuscripts, however they are no longer displayed in Moissac and have been moved to Paris. 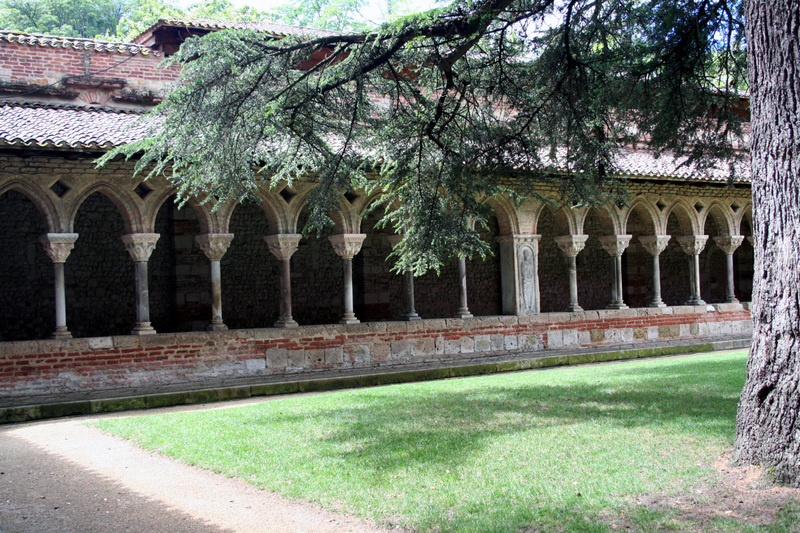 We toured the church, the cloister, and the house of the abbot, which is now a museum. We also stopped to watch some men of the village playing petanque, French bocci, and then headed home for dinner. Chris cooked some spectacular maigret de canard (duck breast) in a cassis sauce with roasted potatoes and aoli and a side of warm spinach salad. Tres bien! Our first guest is leaving early this morning and our next guests arrived last night. Today I think the plan is to visit our local market and perhaps go sightseeing a bit around the area. Yesterday we went up to Gourdon to see the Grotte de Cougnac. It was just amazing to think that people had actually stood there 25,000 years ago and drew these pictures that are still there today. 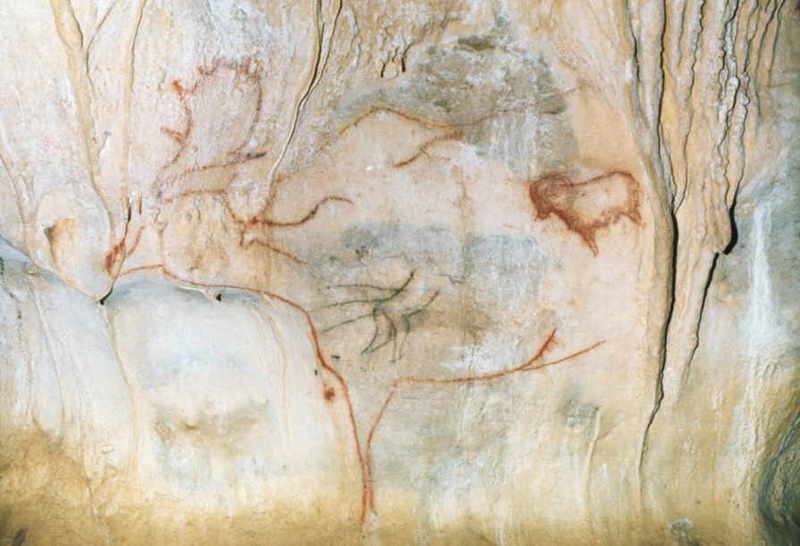 Our particular cave had paintings of mammoths, ipex, and deer. In addition, it had a strange painting of a person stabbed with spears, which is very rare and not quite understood. There were also fingerprints that were unexplained, put there 12,000 years ago, well after the rest of the cave paintings. I'm so glad we went to see them. These caves are true treasures in our region. We also tried to go on a dolmen walk that would have taken us by neolithic structures. We walked and walked down a dirt path in the woods, but never actually got to see dolmens. The lack of signage posed a significant problem. The guidebook let me down and this makes me a bit hesitant to continue to trust it. We shall have to see how it does during the rest of the holiday weekend. Fortunately, on our way, we did get to see beautiful villages and towns and came home to an absolutely amazing dinner last night at the restaurant owned by our neighbor. Chris got up early today and walked down to the boulangerie for bread and croissants. While he was out, he took spectacular sunrise pictures. Fortunately, we found out where the boulangerie is on our tour of town yesterday. So we're starting to settle into a routine. The pilgrams still wander through the village each day and rest in the main square. The children at the school down the street have recess at about 10:30. In the afternoon, a group meets to play bocci in the gravelly area beneath our window. The church bell tolls every hour during the day. Just as my day is starting to wind down in the late afternoon, everyone else at home signs online and begins their day. We have a soft boiled egg and toast for breakfast. Bread, cheese, fruit, and wine makes a fantastic lunch. And then in the evening it's time to go out and take sunset pictures. Bank of America put the obligatory hold on my account for overseas activity despite the fact that I already told them I would be overseas. And they told me they couldn't guarantee that it wouldn't happen again. Ah, well. I guess that's to be expected. Fortunately, it's nothing that 15 minutes on hold and a discussion with a representative couldn't solve. The weather has been warm and lovely, although rain is expected for the next week. Great, just in time for guests. :( But that will be great for my newly planted herbs. Even if it does rain, I'm excited to take this Memorial Day weekend and explore. This morning we headed down to our first market. While not as big as the Saturday market is supposed to be here, there were lots of different kinds of fruits, vegetables, fish, and meats. We stocked up on things like zucchini, tomatoes, spinach, and carrots. I even got a few herb plants to put in the hanging basket outside. The man who sold us eggs was very nice and tried to start a conversation, although we had a bit of a hard time following. My poor French compounded by his particular accent left me wishing I could understand more than just a few bits and pieces. I'll have to work on that. Fortunately, Chris was able to follow along. At any rate, he was very friendly, we came home with great things to eat, and I think it was a very successful market day. 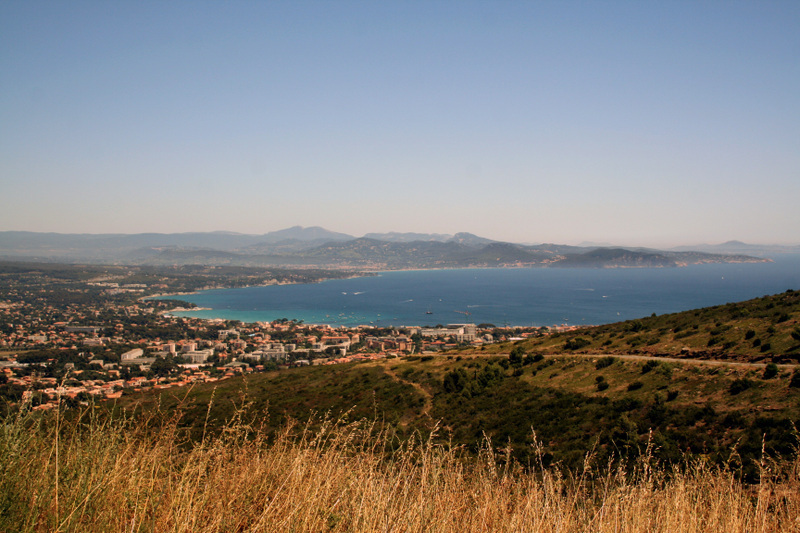 I've finally uploaded a dozen pictures that Chris and I took our first few days here and have put them on the France photo album. Take a look! And be sure to come back throughout the summer because I plan to be adding more as we take them. Tomorrow is our first market day, so I'm excited to see what they have to sell and to plan meals around fresh French produce. Chris has already found some great regional recipes to try and I'll post about our culinary successes as we learn French cooking. I might omit the cooking fiascos we're sure to have along the way, dealing with conversions, duck fat, and other complications. Tomorrow is also the day our first visitor arrives. From then on, we'll have guests continuously for the rest of May, so we will be playing host to friends. :) I hope to continue blogging about village life and sight-seeing as well as uploading pictures, but please forgive me if I lapse a bit in posting while guests are here. This evening we wandered around the village, toured the Pilgram's Garden, and gave our camera a workout. I find it incredible that all these buildings are so well cared for and preserved after all this time. I was a little cold on the walk, although it was warm earlier in the day when the sun was out. We came home just in time to catch the beautiful sunset out our window. And so our adventure has finally begun and we have arrived in France. The flight was annoying as any plane travel is these days, but otherwise uneventful. 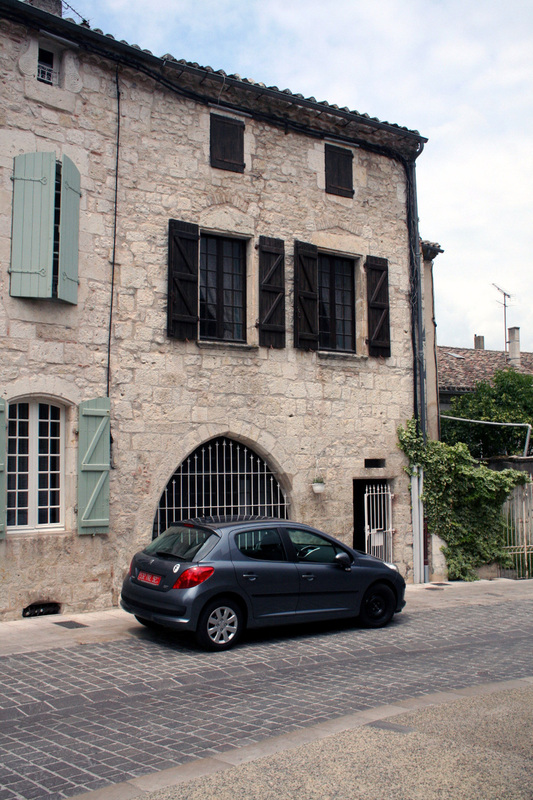 Chris got our leased car and we drove through many traffic circles on our way through the countryside and up to Lauzerte. I kept looking in the distance to see if I recognized our village. Finally, a little over an hour later, we rounded a bend and there could be no mistaking the bastide at the top of the next hill. The village looks like it belongs in the middle ages. It's like you just stepped back in time, as long as you mentally photoshop out the cars. 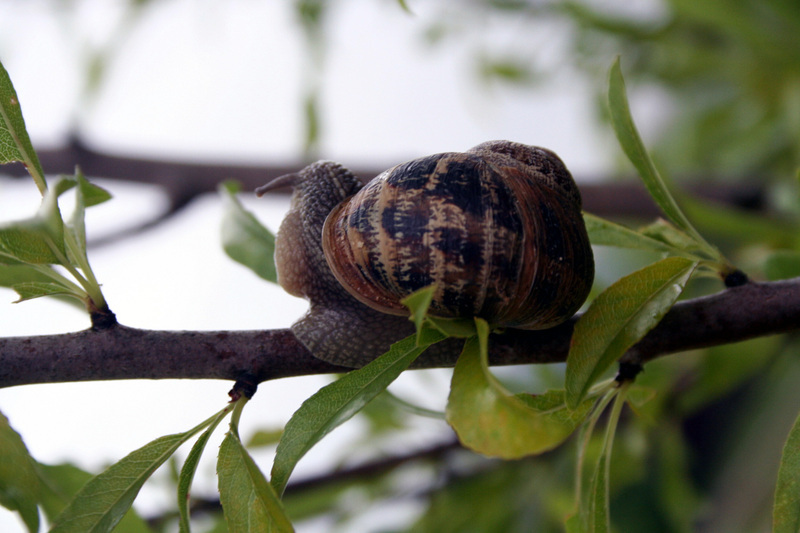 In fact, pilgrams are coming through town on a fairly regular basis on their way to Compostella, just as they've done for hundreds of years. We tried to find our house by the address and ended up giving up since houses aren't really numbered here. We parked the car and wandered into the village center to sit in the square, gaze up at the old church tower, and survey our new surroundings. The house is amazing, even more so than we expected. Our bedroom looks like something out of a movie - a giant fireplace that, by all rights, should have wolfhounds in front of it, a very French hand-made carpet, large windows with heavy wooden shutters, 14-foot ceiling with original (i.e. from 1251) beams. And the whole room is almost 30'X30', roughly the same space as our apartment at home. The bed seems tiny in the middle. And the other three bedrooms are nearly as large and medievally. Out the window is a panoramic view (and a three story drop, followed by a promenade, followed by a bigger drop) of the French countryside, complete with grazing sheep, vines, orchards and fields. The whole village clings to a steep hill and towers over a valley, and our house forms part of the curtain wall protecting it. We were attacked by Huns last night, but easily beat them off with the crossbow the owner keeps on the wall, just in case. We have already met a Pierre (really), and my first friend in town was Matthew the bartender, whose place on the main square is an easy hammer throw away. The chef for the best restaurant in the region, Frederick, lives next door. I don't know what else to add except we're here. We're finally here. This will be a fantastic summer. I guess it's time to say goodbye. Tomorrow we're getting on a plane and heading to France. Sunday, we will arrive at our new home for the summer. Actually, I'll probably be blogging more often, not less, since there will be more to document and share. Anyway, it's exciting to be leaving so soon! This weekend will be annoying, mostly standing in security lines and sitting in tiny airplane seats and all that, but after that it will all be worth it. Yay! I'm busy planning these days, as France looms ever closer. :) Chris thinks I'm getting a bit obsessive. I didn't stay up until midnight on the 31st, but somehow the new year came anyway. I am greatly looking forward to 2008. It should be an adventure. Why? Well, I am pleased to announce to anyone who may not have heard already that Chris and I will be living in France this summer. You read that correctly. Here's a picture of where we'll be. Pretty cool, right? I'm sorry it's taken me so long to post this month. We've been wrapped up in our summer planning as well as figuring out if/when we want to go through the process of selling our current home and buying a new one. Lot of big, exciting things are going on.